When consumers look at spending a good amount of money on a treadmill, it is important to know just what makes a treadmill worth the price. While there are hundreds of treadmills for under $2,000, we have focused on the treadmills that cost just under that price point, as they can be compared on equal footing. By choosing to invest in your health and overall physical fitness, you are probably looking for several specific things when it comes to your treadmill: max speed, incline range, workout programs, and technology options. These factors and many more are how we have come to the conclusion of which treadmills deserve the title of best treadmills under $2,000. Our best in show goes to the NordicTrack Commercial 2450. 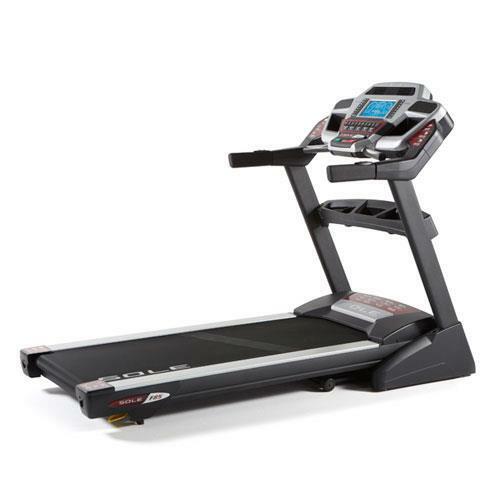 This superior treadmill has a 4.0 CHP motor and an incline range of -3% to 15%. Its smooth operating action tempts users to jump on and enjoy anything from a rousing interval workout to a cushioned walk. And with the Commercial 2450’s 10” HD touchscreen, users are guaranteed something to keep their attention while using this treadmill. 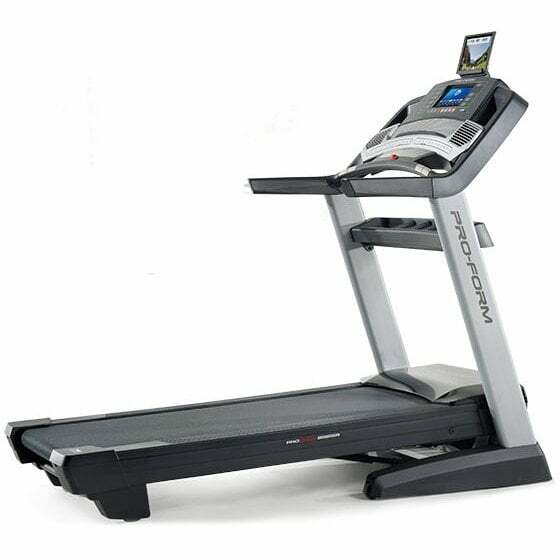 For more information on this treadmill, read our NordicTrack Commercial 2450 review. Considered a light commercial quality treadmill, the SOLE F85 has earned a spot on our best treadmills under $2,000 list. With its heavy-duty, welded metal frame, the F85 can hold a user who weighs up to 400 lbs. It can incline from 0-15% and reach a max speed of 12 MPH, giving users plenty of difficulty levels to work with. Since the focus of SOLE treadmills is on durability, the F85 holds up that tradition. It is fully capable of being used daily by multiple people. For more information on this treadmill, read our SOLE F85 review. With all three of our best treadmills under $2,000 equal on price, the ProForm Pro 9000 can hold its own when stacked up next to the Commercial 2450 and F85. Unlike other ProForm treadmills, it has a touchscreen display. This display measures 10” and allows for online browsing as you workout. With 40 built-in workout programs and the ability to sync with the iFit app, the Pro 9000 is a versatile treadmill that can accommodate a wide variety of users. For more information on this treadmill, read our ProForm Pro 9000 review. It would be easy to say that the treadmills under $2,000 price range are for everyone. They are usually well-constructed, with an emphasis placed on brand build quality and technology integration. SOLE treadmills are not usually tech-focused, but for their more expensive treadmills, even they have made some concessions. If you need a treadmill for walking and not much else, then you likely don’t need one of our top treadmills for under $2,000. Our page on the best walking treadmills will likely interest you more. But if you want a treadmill you can grow with no matter your current fitness level, then you’ll want to seriously consider one of our best treadmills under $2,000. From serious runners to walkers who want to become better runners, these treadmills will help you move toward your physical fitness goals. Comparing treadmills fairly takes some work. Here at Treadmill Reviews, we have come up with features we feel are key to a quality treadmill for under $2,000. 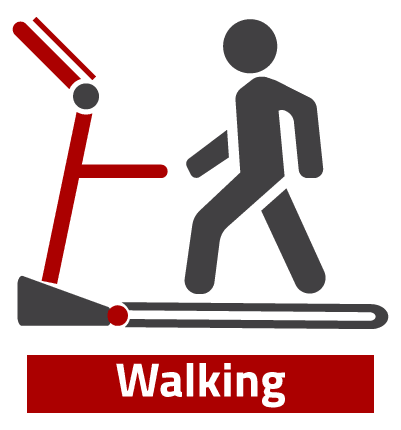 How does the treadmill feel when operating it? We run tests at different speeds and inclines to be sure we have an accurate feel for the machine’s abilities. What is the build quality like? We can cull many of the unknown treadmill manufacturers simply by looking at build quality. If you are spending just under $2,000 on a treadmill, it better be a great treadmill. Does the motor size match what is needed for the treadmill to run smoothly? At this price range, many runners and others looking to seriously improve their fitness are looking for a strong treadmill. Is there quality cushioning built into the treadmill? Many people utilize treadmills to lessen the impact of working out on hard surfaces. In the case of more expensive treadmills, better quality of cushioning should be available. What kinds of technology come with the machine? When spending quite a bit of money on a treadmill, most consumers expect certain levels of technology to make their treadmill more user-friendly. While supplemental technology like the iFit app and SOLE Fitness app are factors, they do not weigh as heavily as the built-in tech. A treadmill belt of at least 22” in width and running length of 60”. High strength motors which are at least 4.0 CHP. Sturdy construction of treadmill overall with strong consideration given to the treadmill deck and console. There are space considerations when it comes to pricier treadmills. Some cannot fold, others can fold but are still space hogs when folded up. It is a trade-off you may have to take for a better quality treadmill. What the treadmill incline ability is like. Many can decline in this price range, and most can at least incline up 15%. If you want a higher incline range, check out our best incline trainers review. Extras to improve treadmill workouts. Our top 3 treadmills for under $2,000 all come with a wireless heart rate monitoring chest strap. This is much more accurate than EKG handlebar grips. Touchscreen displays and web connectivity are also things you can look for in the more expensive treadmills, though SOLE does not have any touchscreen treadmills at this time. 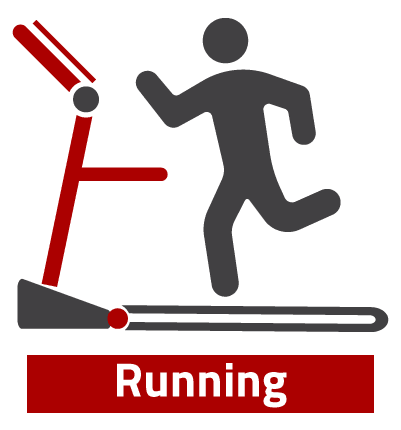 Build Attributes – As a treadmill just under $2,000 represents an investment in your future health, the best treadmills will reflect certain build attributes. These treadmills will generally be heavier as they are made to be very sturdy. There should also be wide consoles with strong arms so you can lean against them when needed. They may also take up more space in your household as they are built to light commercial treadmill standards. 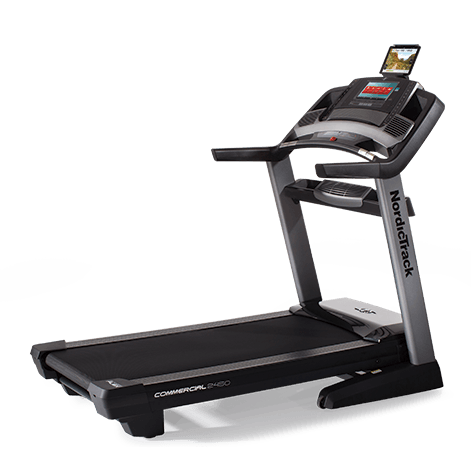 Warranty Expectations – These pricier treadmills should come with quality warranties to ensure you can keep your treadmill in top condition. A lifetime warranty on the motor and frame is the most basic requirement. Don’t let them stint you with a short labor warranty. It should be at least a 2-year labor warranty when buying a treadmill just under $2,000. The parts (sometimes called the parts and electronics) warranty should be 5 years in length. Treadmill purchasing can be tricky. When shopping through third-party treadmill suppliers, it may appear that you are receiving the best deal. But we almost always recommend buying your treadmill directly from the manufacturer. The best treadmill manufacturers run deals all throughout the year, so you don’t have to be trapped by a limited-time offer. Also, you can be sure you are going to have the latest model of the treadmill you want and receive top-notch customer service instead of jumping through the third-party supplier’s hoops. So we focus on those treadmill brands which make quality products and have strong guarantees for their customers. In closing, the best treadmills for just under $2,000 are high-quality treadmills which can stand up to heavy usage. Users from walkers to runners can enjoy these treadmills and improve their fitness levels. If you are looking to fit in some serious cardio training, your home gym won’t be complete until you’ve found a quality treadmill like those listed above.